Edinburgh has an almost fairy-tale setting and every step is a revelation. Its magnificent architecture shifts from the proud tenements of its medieval Old Town, to the grace and geometric precision of the Georgian New Town. Above it all stands Edinburgh Castle perched high on its volcanic rock looking down on a city where medieval lanes and elegant, sweeping terraces hold over ten centuries of history, mystery, and tradition. Scotland`s jewel on the River Clyde, Glasgow is an architectural dream: Victorian red and honey sandstone, Italianate steeples and medieval spires sit harmoniously with neo-Gothic towers, the sensuous Art Nouveau of Charles Rennie Mackintosh and the titanium, glass and steel of the contemporary city. Glasgow has an amazing portfolio of museums and galleries, many of them free! The Lighthouse, Willow Tea Rooms, Merchant City, The Style Mile, Glasgow Science Centre, Kelvingrove Art Gallery and Museum, Glasgow Botanic Gardens, and so much more! 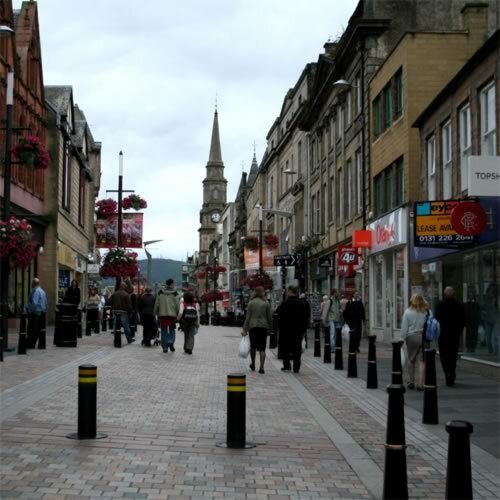 The capital of the Highlands, Inverness is one of the oldest inhabited sites in Scotland. Don`t miss the oldest church, Old High Church, on St Michael`s Mount by the riverside, a site used for worship since Celtic times. Other interesting sights include Inverness Castle, from which Mary, Queen of Scots was infamously barred; and Urquhart Castle, south of the city, which was a formidable fortress in the Middle Ages. Inverness is a good base for exploring the Highlands. 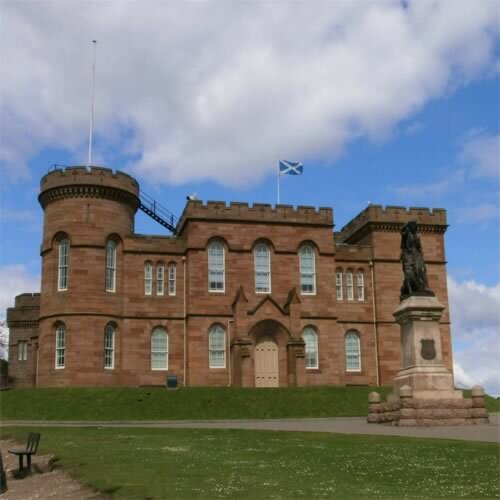 Inverness Castle, The Steeple, Ness Islands, Inverness Castle, Abertarff House, Cawdor Castle, Urquhart Castle, Culloden Battlefield, and so much more! Surnamed the "Granite City" because of its buildings constructed largely of pink or gray granite, the historic Aberdeen presents a modern cosmopolitan image to visitors, boasting marvelous museums and galleries; a lively nightlife and the best shopping in the northeast. The city is famous for its outstanding parks, gardens, its top attraction being the Winter Gardens at the Duthie Park, home to the stunning Rose Mountain. The city's two miles of sands also ensures it a status of coastal resort. Located close to Ben Nevis, the highest mountain in the British Isles, and the beautiful Glen Nevis, Fort William is a major tourist centre for hillwalking and climbing. The town's attractions include the West Highland Museum with a large number of Jacobite relics including a secret portrait of Bonnie Prince Charlie, and one of the old paneled rooms from the fort has been rebuilt here. Fort William was the first town in Britain to be lit by electricity generated by its own water power scheme. Originally a Stone Age Settlement, and a former capital of the Kingdom of Scotland, Stirling was a royal burgh until 1975. Nowadays it has become a centre for government, retail, and light industry. The city is clustered around a large castle and medieval old-town. Stirling is dominated by its impressive castle, perched on a 76m (250-ft.) basalt rock. This city is the perfect gateway for exploring distance from many attractions, including Loch Lomond, the Trossachs, and the Highlands. 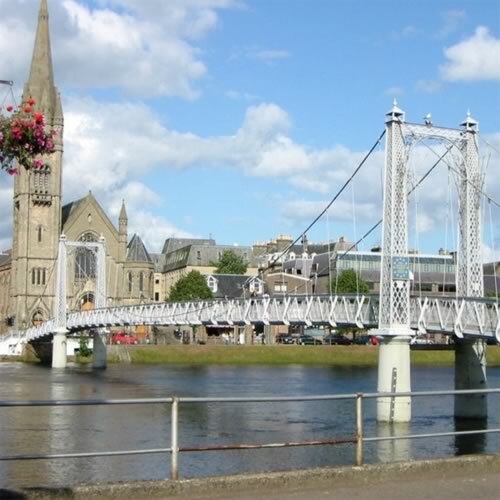 Inverness, where the River Ness meets Moray Firth, is the principal city in the Scottish Highlands. Not only is it a city with a rich history, it is becoming one of Scotland`s success stories: Inverness ranks as one of the happiest cities in which to live, and on top of that, it boasts the highest quality of living of any Scottish city. Visit Inverness today and we bet you`ll find yourself as happy as the locals. 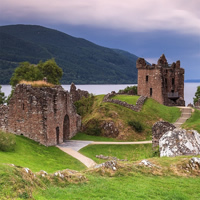 The jewel of the Highlands offers so much for the tourist that the mystical allure of Loch Ness (the creature described in a thousand storybooks) is but one of the blockbuster attractions that you must see. For example, millions of tourists have fallen in love with the ruins of Urquhart Castle, and the Jacobites` sobering last stand is honored at the Culloden Battlefield monument...and that`s not even mentioning the exciting sights in the intimate city center. 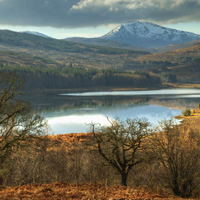 Live like a Clan Chief - Lord it over your friends as you go on a journey across Scotland`s famous castle trail and sleep in castle and manor house style hotels! Scotland has had a turbulent history which has left an enduring mark on the landscape in the shape of the many castles, fortresses and tower houses that can be found in the countryside. Some, such as Edinburgh rank among Europe`s most impressive structures while other less grand examples provide a stark insight into darker times. However, all castles have captured the imagination which explains why they top the list of `must-see` attractions. Begin in impressive Edinburgh and then wind your way through St. Andrews, Aberdeenshire, Royal Deeside, Inverness, the majestic Highlands, and ultimately lovely Glasgow! All at your leisure with a rental car. This is an independent, self-guided tour - not a guided tour. Choose to visit any, all or none of the suggested attractions.. it is completely up to you! Our most popular Scottish combo! Visit Edinburgh (fairytale setting with its medieval old town and Georgian new town); Aberdeen (marvelous museums, outstanding parks and gardens, lively nightlight and 2 miles of sandy beaches; the birthplace of famed Romantic author Lord Byron); Inverness (Capital of the Highlands and one of Scotland`s oldest inhabited sites) and Glasgow (An architectural dream: Victorian red and honey sandstone, Italianate steeples and medieval spires sit harmoniously with neo-gothic towers). Travel between them by Rent a car. This is a flexible package. Select your number of nights in each city, desired hotel and activities. Combine some of the most magical cities throughout England and Scotland with one spectacular package! Begin in London (Royal Palaces, lush gardens, bustling shops, trendy cafes, museums); next is Edinburgh (a fairy tale city with magnificent architecture and medieval lanes); Inverness (one of the oldest inhabited areas of Scotland, full of interesting remnants of past societies) and Glasgow (an architectural dream, an amazing portfolio of museums and galleries). Travel by train between each destination. This is a flexible vacation package. Select your number of nights in each city, desired hotel and activities. Visit Edinburgh (A fairy-tale setting with Edinburgh Castle looking down on a city with over ten centuries of history)and Inverness (Capital of the Highlands and one of the oldest inhabited sites in Scotland) with a rent a car. Our most popular Scottish combo! Visit Edinburgh (fairytale setting with its medieval old town and Georgian new town); Aberdeen (marvelous museums, outstanding parks and gardens, lively nightlight and 2 miles of sandy beaches); Inverness (Capital of the Highlands and one of Scotland`s oldest inhabited sites), and Glasgow (An architectural dream: Victorian red and honey sandstone, Italianate steeples and medieval spires sit harmoniously with neo-gothic towers). Travel between them by train. This is a flexible package. Select your number of nights in each city, desired hotel and activities. 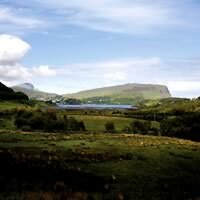 The Scottish Highlands are a historic area, having once been a populated and tight knit area. Today, the area is sparsely populated, retaining much of its original drama and beauty. 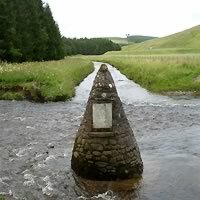 The Jacobite Rulings of the 18th Century attempted to outlaw and break up the highland way of life, from the existing `Clan System` to wearing Tartan. With the onset of the Industrial Revolution people fled to major cities, and the Highlands have remained virtually unchanged since. In this fascinating vacation package, you get to visit these beautiful areas at your own leisure with a rental car. 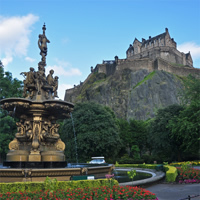 Stay in Edinburgh (with castles, lush countryside and endearing history), Ft William (see Glen Coe and Ben Nevis, the tallest mountain in Scotland), Inverness (the capital of the Highlands) and visit Drumnadrochit, Glen Urquhart, Fort Augustus, Invermoriston, Glenaffric, Strathglass and South Loch Ness. At your own leisure with a rent a car. This is a flexible vacation package. Select your number of nights in each city, desired hotel and activities. 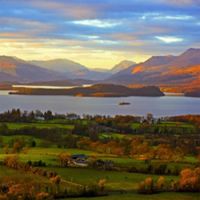 Enjoy a vacation package through three of Scotland`s most stunning regions! Stay in picturesque Edinburgh, and play in the stunning Lothian countryside before continuing by train to Stirling (a beautiful city and its surrounding region including the Troussards are simply breathtaking), and lastly Inverness (capital of the world-famous Highlands region; home to Loch Ness and some of the most beautiful views in the world). Travel between these cities by very convenient train rides which allow you an opportunity to observe the lovely country side. This is a flexible vacation package. Select your number of nights in each city, desired hotel and activities. Visit Glasgow, Pitlochry, Inverness and Edinburgh with a car. Upon arrival, pick up your rental car from the Edinburgh Airport and take the short but scenic drive to your hotel in the Lothians. Visit the beautiful Lothian countryside to explore ancient battlefields, stunning parks, country homes, and castles. After your last night in the Lothians, travel by car to Inverness, where you can explore the shores of infamous Loch Ness. 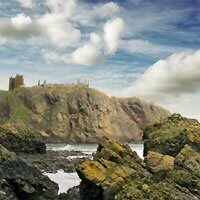 Visit Edinburgh, Aberdeen and Inverness with rent a car. Hotels were great! Everything was very organized! Loved the trip, will be booking again soon!